Uitslag internationale Aqua Scape contest AGA 2017 categorie Dutch Style. De resultaten van de internationale Aqua Scape wedstrijd van AGA 2017 zijn onlangs bekend gemaakt./The results of the international Aqua Scape contest of AGA 2017 were recently announced. Joe Harvey was number 1 in the catagory Dutch Style. 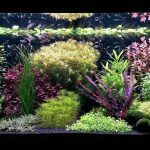 He posted on 13th november 2017 on Facebook: “My 120 gal aquarium was fortunate enough to place 1st in this year’s AGA competition in the Dutch category. There were some really good submissions and Im honored to have placed so high. De beste aquaria in de categorie Dutch Style 2017. 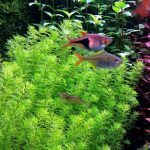 For my non-aquarist friends, here is a link to check it out. 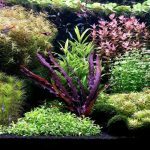 When you’re done browsing the Dutch entries, be sure to go the the ‘categories’ section to see more AMAZING aquascapes from all over the world!”. 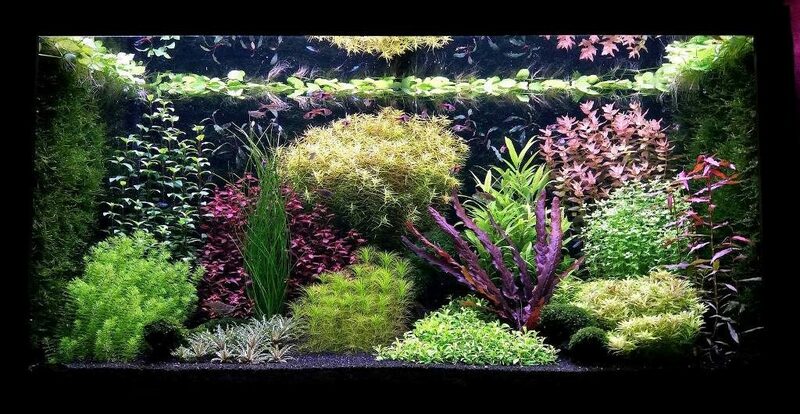 Het aquarium van Scott Miller dat derde werd. “Really nice tank Scott Miller. Better than mine in some ways. I think the top 3 could’ve gone either way. It’s nice seeing stronger US representation in the Dutch category. Hopefully it bodes well for the future. Now if only Bart Laurens and his cronies would start playing again…we could all jockey for 3rd and 4th place! J Congrats again ! Some details of his tank. Joe asked me on Facebook: “Could you give me any advice in how to improve it, like you showed on those tanks in Denver?” So I feel free to add some comments. Mijn commentaar en aanbevelingen zoals ik dat/die in Denver ook gegeven heb. When you look at the groups of plants you will see that the biggest group is number 5 Diplis diandra. I would say: Never divide your tank into two parts by placing such a group in the middle of your tank. I don’t know if this is a special variety of Diplis diandra, but in my opinion this plant could be more dark green and have more red coloured tops. Now look at the red lines that I drew into the total design and you’ll see that basicly the concept is a little bit symetric. This symetry could be broken by using some plants with different shapes of leaves. It might help to replace nr 10, Hygrophila siamesis by a broad leaf Hygrophila corymbosa. The shape of the leaves of Group 5 (Didiplis diandra) and 7 (Hydrothrix gardneri) is a little too similar. It might be an improvement to change Group 7 (Hydrothrix gardneri) and 12 (Oldenlandia salzmannii). 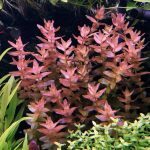 That would also give a little more difference between Group 11 (Bacopa colorata) and 12 (Oldenlandia salzmannii). 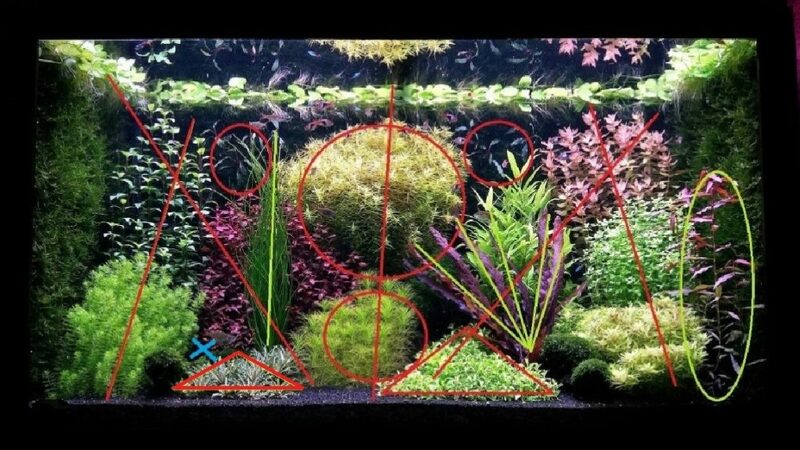 The green lines refer to plants that are very wel placed. I would prefer to replace Group 3 (Isoetes lacustris) in the crosspoint of group 1,3 and 6 (blue cross). and not so specific in front of Ludwigia sp. Red. Of course this is an opinion, you don’t have to agree. 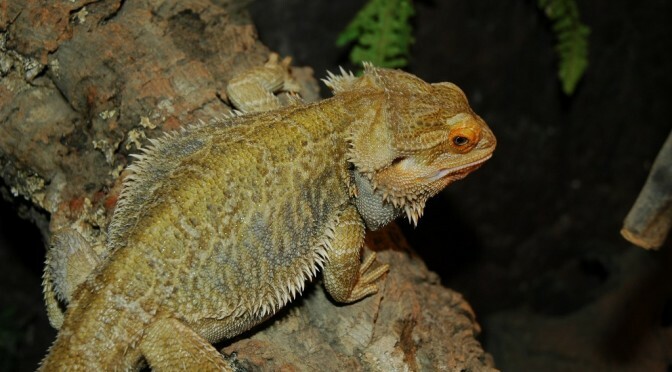 Vorig bericht25 juni 2017, Reptielenbeurs in Houten.Volgend berichtDe Vivariumbeurs 2017. Bart, I really appreciate you taking the time to explain the details like this. I always felt like the tank was missing something, especially when compared to yours and other Dutch Masters. But I couldn’t figure out what that “something” was. Now I have a better idea what to work on, and will practice all those things. Many, many folks here in the US are interested in the Dutch Style. There’s just not many (if any) that know how to do it well – beyond studying pictures of tanks like yours. The info you give here is invaluable and I know is gonna help a lot of folks get better. Thank you again for your advice Bart. Very nice and detailed critique of Joe’s layout.